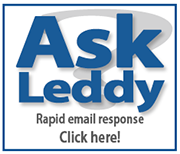 The New Leddy Library Information Desk is now Open! It's open and it's beautiful! After many months, the wait is over! On July 31st, the Leddy Library opened its brand new "one stop shop" for students, staff and faculty. The desk includes services from 3 areas (reference, circulation and IT assistance) conveniently located as you enter the building. 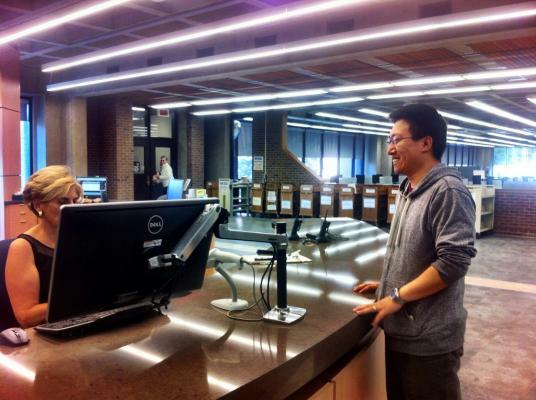 Joey Zhou, an HK grad student, is the first to use our brand new circulation desk! Yay!! Please drop by and check out our new area!